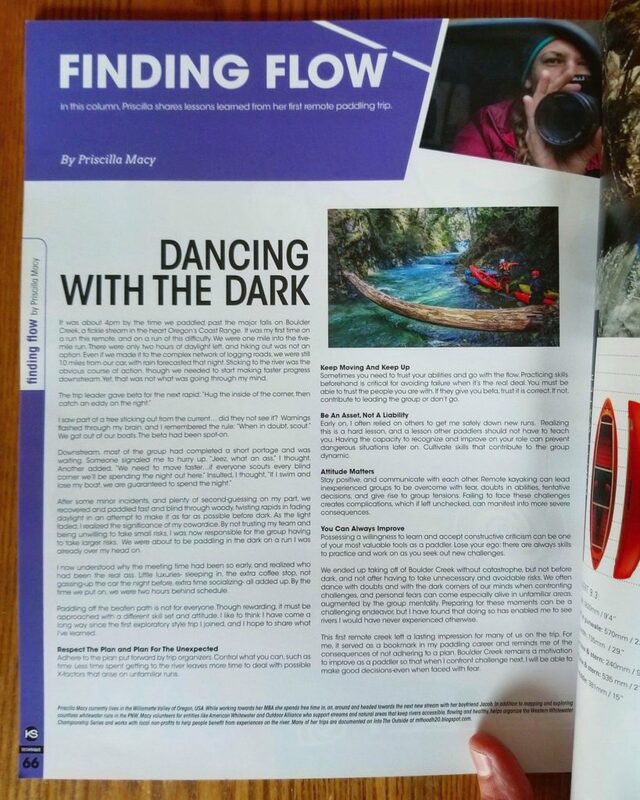 Priscilla Macy ~ Storyteller Paddler | DBP MAGAZINE ONLINE The World's Best Free Whitewater Publication. 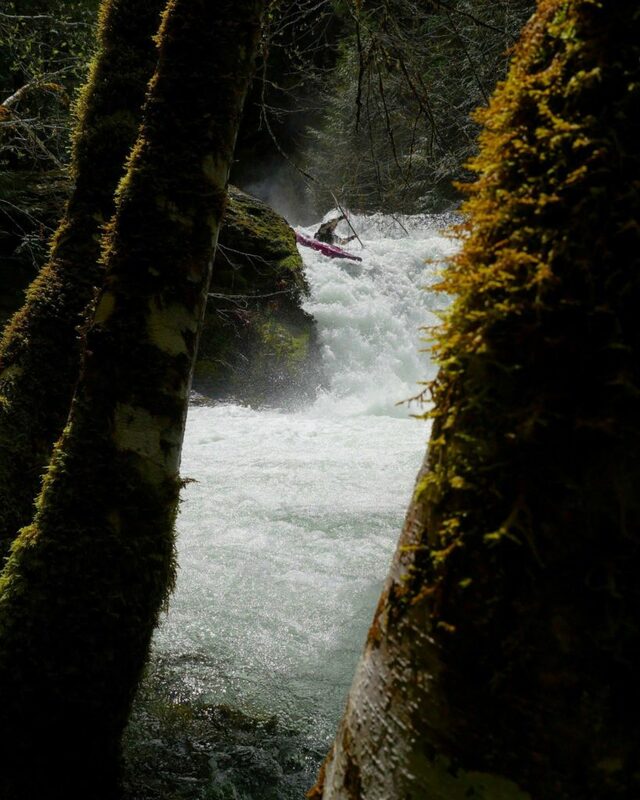 Priscilla Macy is a vibrant member of the PNW whitewater community. 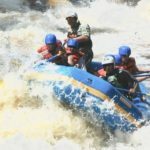 A versatile paddler comfortable in a kayak or inflatables, she is adept at safety boating for experts as seen in her service at various events such as the Northwest Creeking Comp. She is also an amazing artist, as a writer, photographer, and videographer. 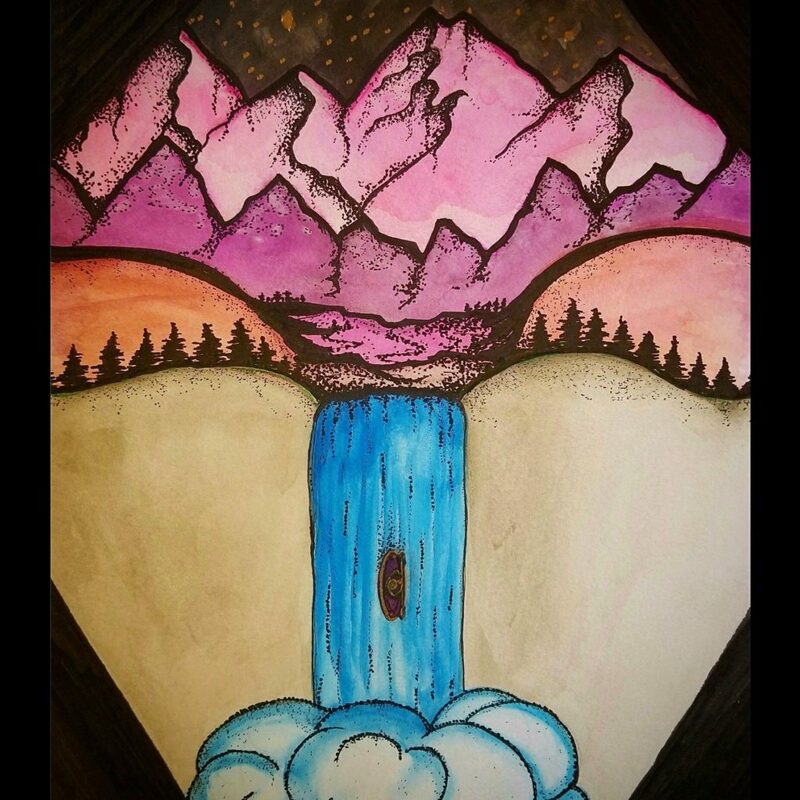 Often times partnering with Jacob Cruser, Priscilla conveys the joys and challenges of whitewater through her lens and through her words. 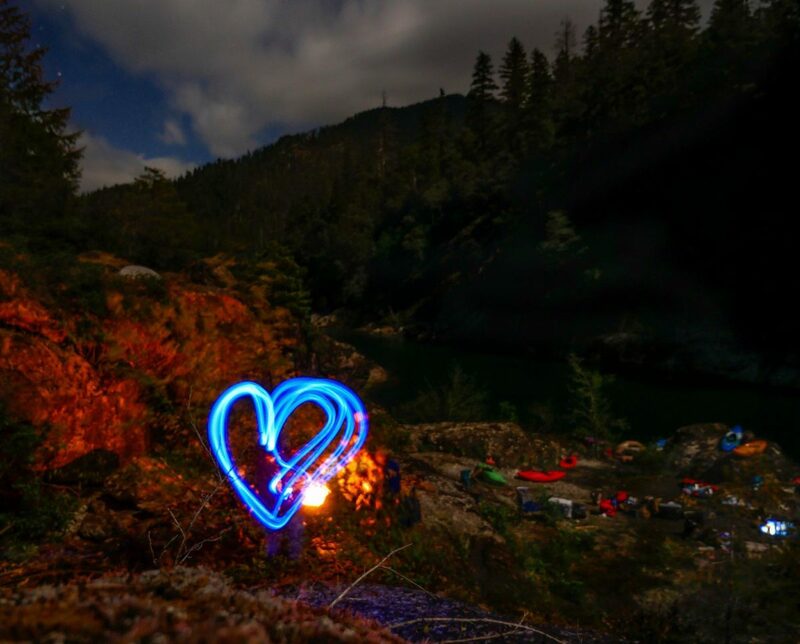 She shares moments of elation found through exploration and finding something new. She portrays the random moments of paddling life that we all share and relate to. She even picks up a brush every here and there to tell her story, which in the end is our communal story. Enjoy P Money’s Instagram account @missp_money. 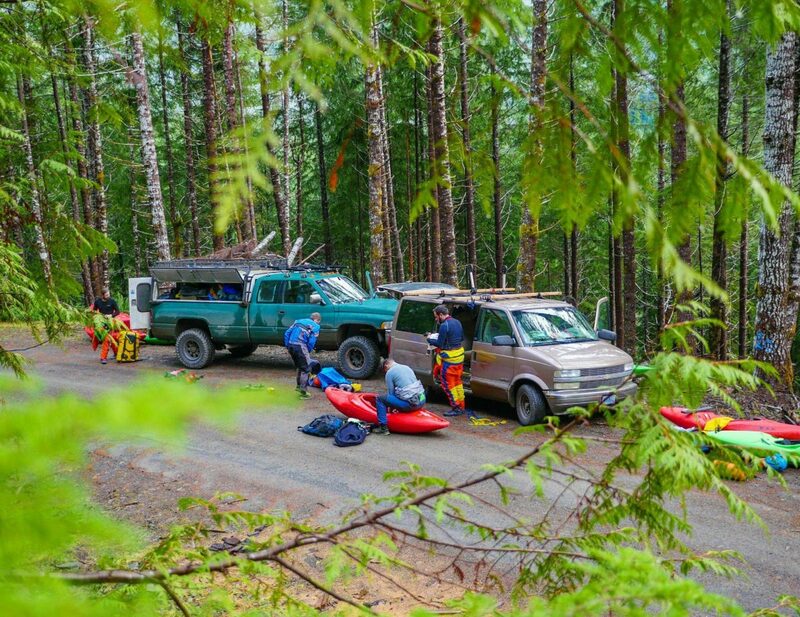 As kayakers, the side of the road often serves as our “locker room”: where we change into and out of our strange uniforms and gear, build excitement amongst each other for the challenges ahead and make a game plan before heading out and onto the “field”. We had high hopes, but low optimism that a 5-6 hour drive with 9 people to the rainiest part of the lower 48 would reward us with more joy than consternation. In retrospect, maybe the willingness to fail is the price to pay for preeminent weekends like the one we had over the MLK break. With friendly water levels, warm temperatures (for January) and a lack of rain, the stoke level stayed elevated through 6 sections of stream that none of us had seen, and each concluded with no swims and big smiles. Group dynamics were optimal time and again when decisions needed to be made, and action taken. When considering a return trip to the Olympic Peninsula, I fret that any subsequent trip might be a letdown in comparison, yet I know that I would be remiss not to. We do not always think about it, but there are always eyes in the forest watching us zoom downriver in our odd and brightly colored crafts. I wonder what the forest creatures think when they see us? Through kayaking, I have learned some of the more valuable lessons in my life. 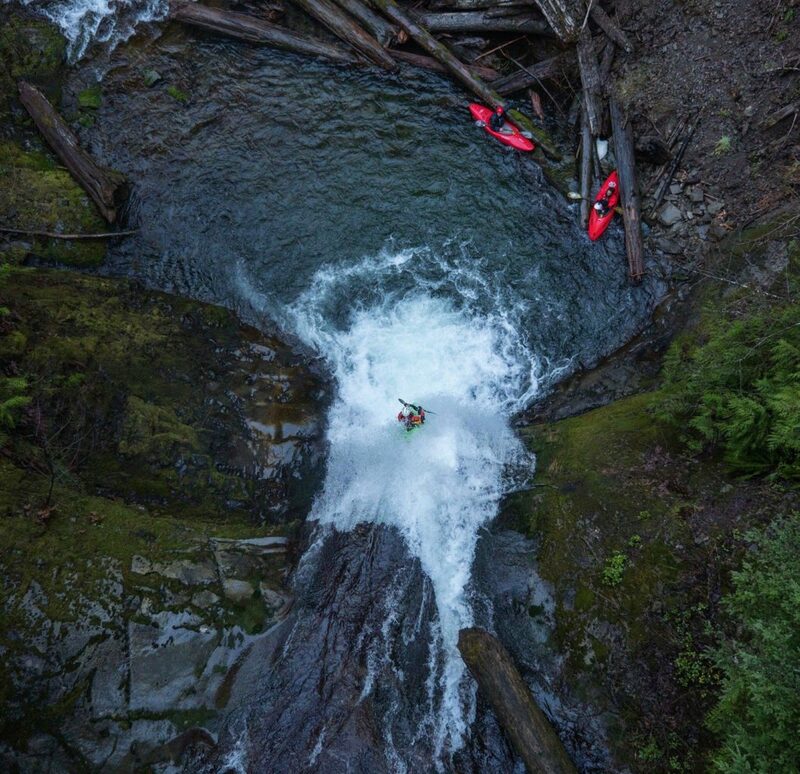 In most ways, kayaking has also brought more value into the life I have decided to lead. Attempting to articulate the many lessons requires the ability to admit fault and weakness. This is something I have never been good at and have actively avoided for most of my life. I am appreciative that now, writing can serve as a tool to better analyze and record my mistakes, fears and many lessons learned as I continue to overcome my many weaknesses and become a better paddler, and through that, also a better person. Through kayaking, I have learned some of the more valuable lessons in my life. A new year is not an end nor a beginning, merely a marker in time and a going on. The next chapter will be written with wisdom and experience of the past and with a resolve to grow, face adversity with strength, and to fully live. Success and happiness lies in you. Happy 2018. Life gets busy, and it gets easier to make excuses and stop doing things that make us really happy. For the past few months I have been pretty down about things and Jacob thoughtfully reminded me to make more time to do things that I used to love to do. Picking up a brush, pen and pencil and putting it to paper has reminded me what joy can come from creating something from your imagination and for no other reason other than that you get joy from it. I am thankful to have a partner who continues to inspire and remind me to be better and to do what I love. Success and happiness lies in you.